There is an aspect of Doctor Who that has always excelled, and that is their use of metaphors. They translate a modern-day issue into a plotline about an alien race, and then, without us even realising it, the show is giving us a lecture on politics, acceptance and tolerance. That is pretty much what happens on the show’s second episode of Capaldi’s last go. Yes, ‘Smile’ cements Bill’s personality even more, allowing us to fully understand her character and what we can expect from her, but it also sends a powerful message. But I won’t get ahead of myself. 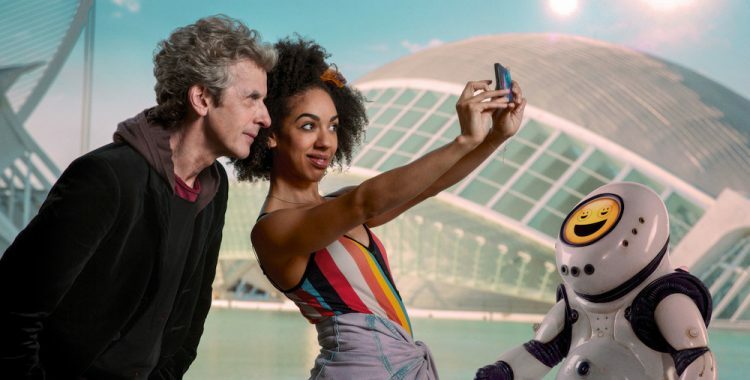 Here’s what happens: the Doctor and Bill arrive at a new colony set in space (or Mediterranean Spain) so that the last humans can start a settlement there. Of course, they have sent some artificial intelligence first and, as it would happen in my worst nightmares, they speak emoji, because apparently the day when we are incapable of communicating with actual words is inevitable. In a smart twist, we find out that a) the robots are what the colony is made of, and b) the Doctor can’t blow the whole thing up because the colonists are all there in sleeping pods. What is the solution? Do some clever reworking on the robots (or switch them off and on again) so that they don’t have that insane urge of killing anyone who experiences grief and forgets to smile. 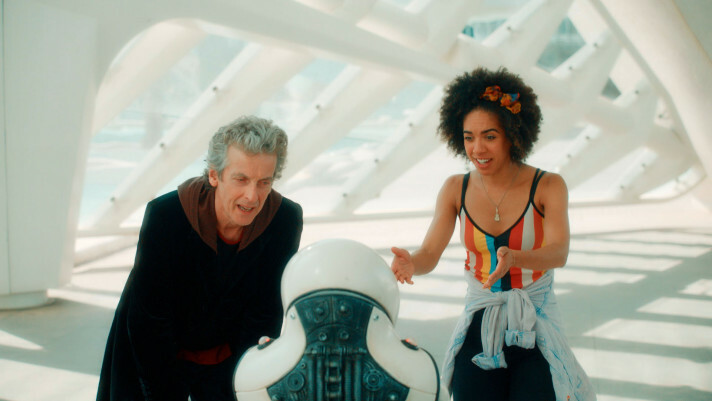 But there is more to that twist: because of that reconfiguration, the robots are now the indigenous inhabitants of that colony, and the Doctor advises the colonists to be nice to the natives and accept their culture. If only every country in the world that’s been colonised would have treated their indigenous people with respect, the world would be a much less hateful place. -Hats off to Bill for reacting like every other human being would upon finding out that the Doctor has two hearts. -This is a good question: why aren’t the seats in the TARDIS closer to the controls? -The first scene when both Bill and the Doctor are forced to smile is both creepy and hilarious. -I live to see Bill call the Doctor “penguin with his arse on fire” over and over again.